Sometimes we become a bit stagnant in our learning. We don't make the same progress that we once did. It's time to ask ourselves, are we doing all that we can? Are we as efficient as we could be? And if we're just plain stuck, then what's next? Poker is one of the most complex games ever invented, yet countless people attempt to master it each and every day. Unfortunately, the road to poker mastery is often long, circuitous, and challenging, causing many to leave the path well short of that end goal. I’d like to offer seven learning strategies which if followed will allow you to master the game more efficiently while maintaining a positive mental attitude. As you exercise, shower, or engage in other daily chores, take the time to reflect on your game. How have you been playing lately? Are you progressing in a manner that is pleasing to you? Are changes needed? Do you see any trends or patterns in your game (or in the poker world in general) that you should attend to? What is going well? What could use improvement? Taking the time when away from the tables to put some serious thought into your game can pay huge dividends. Mindfulness is the practice of being aware of your thoughts, feelings, and sensations in a non-judgmental manner. As a practical matter, it means noticing what you are thinking and feeling. When you are at the table and things are not going well, do you engage in negative self-talk? Are any habitual urges coming up (like going on tilt, smoking, drinking)? Noticing your reactions doesn’t mean that you have to give in to them. Being mindful is like shining a light onto the inner workings of the mind which will help you learn more about yourself. Don’t make excuses in order to rationalize poor play or even innocent mistakes. Take the time to look objectively for areas that need improvement. The only way to address shortcomings is by being honest with yourself. Making mistakes can be one of the fastest ways to improve your game. Most people have an irrational fear of making mistakes which is probably related to the all too common fear of failure. But if you take the time to notice and dissect mistakes in order to come up with better lines, you’ll rapidly improve. The reason for this is that emotionally charged material is most readily encoded into our memories. Whenever you make an error and have a strong emotional reaction, this is your signal to review and learn a better way. The game is constantly changing and if you aren’t keeping up, it’s easy to get left behind. The best players engage in continuous learning and are always looking for new lines. Creativity is one of the hallmarks of an expert. Anytime you learn something new, consider how you can incorporate that new knowledge into your game. This one tactic — practiced consistently by my Positive Poker collaborator, Jonathan Little (see above) — can increase your progress many times over. Keep careful notes of hands you play exceptionally well and hands that are confusing to you. Ask a friend or coach for feedback or suggestions. Written records can be a powerful tool for seeing trends and patterns in your play. 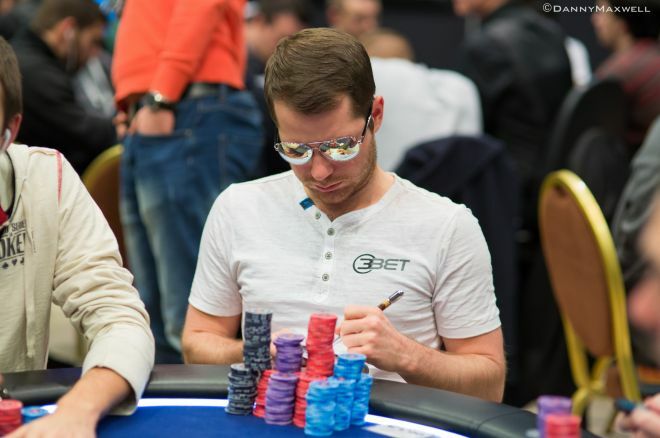 Poker is constantly evolving and it simply isn’t possible to master it completely. Thinking that you have learned all there is about the game is a sure sign that you are stagnating. Be open to feedback as well as to criticism. By accepting advice and acting on it, you’ll have the best chance of changing with the times. The complexity of poker can make learning the game challenging, but by following the strategies outlined above, you can make your journey less arduous and more pleasant. Most of us get into the game because it’s fun — but becoming and remaining a winning player is even more fun!